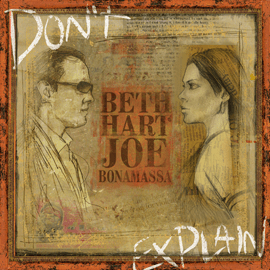 Joe and Beth’s CD titled “Don’t Explain” is set for release on September 27th. Produced by the legendary Kevin “The Caveman” Shirley. The album was recorded earlier this year and will be released on Joe’s label J & R Adventures, which he co-owns with long time manager Roy Weisman. For the latest updates about the album, make sure you stay on top of the Official Beth Hart and Joe Bonamassa website. Bonamassa Live will be doing a full blown review of the CD before it’s released.